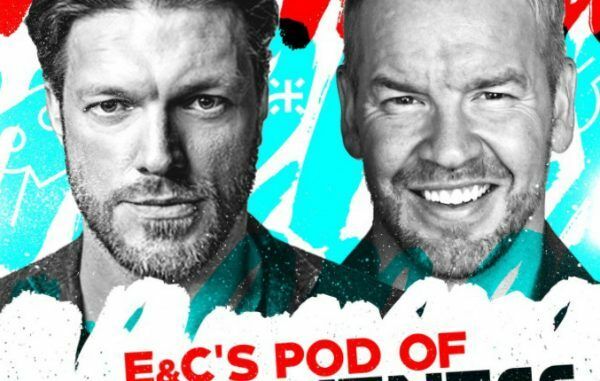 -Edge kicks things off by mentioning the 26-year anniversary of Ron Simmons defeating Vader to become the first African American wrestler to become World Champion. This leads to further discussion about Simmons where Edge and Christian talk about earning the Acolytes respect. Edge says they were the Litmus test. When you won them over, you were good to go with the rest of the locker room. 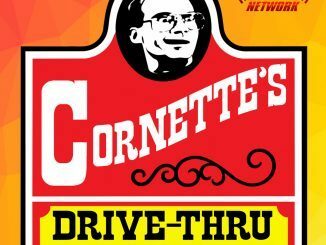 -They talked about the passing of Brian Christopher. They wrestled against him hundreds of times, even dropping the tag titles to Too Cool. E&C worked with them in the face role and Christian says as heels they were never afraid of looking bad. When the roles reversed later, E&C returned the favor. 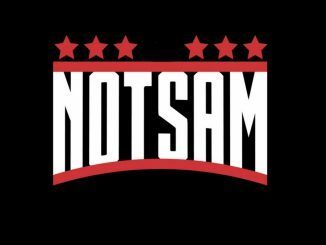 -They talk about the lengthy career of Nikolai Volkoff, and the heat he generated with his Soviet National Anthem gimmick. -They didn’t have a lot to say about Brickhouse Brown but we’re sure to mention his passing as well. -Edge wonders with Evolution and the Mae Young Classic approaching, is there now room for a women’s tag title. Christian says he’s been saying it’s time for over a year. -Christian talks about Harper’s story – how he’d been wrestling for a long time, never got a break and was on the verge of quitting and becoming a long haul truck driver before things finally came together for him. -Edge says he hates using terms like “overlooked” and “underrated” but he feels Harper is so good, he could be Undertaker’s WrestleMania opponent. That’s meant as high praise even though we’re only a few years removed from Bray Wyatt getting that distinction. -Luke says Christian gave him the best advise six years ago when he told him to take whatever WWE gives him and go with it and make it work. -The ladder match against Dolph Ziggler turned far more violent than either man intended. -Edge says he moved away from wrestling for a time following his retirement and that ladder match was one of the matches that began pulling him back in. -Harper gives high praise to the Usos, saying they are constantly reinventing themselves and calls them great wrestlers and people. 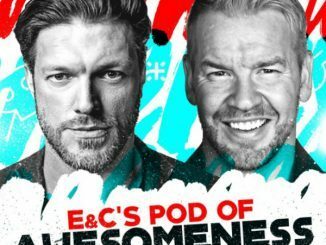 -Edge recalls having the storyline with Vicki Guerrero thrown at them and being weirded out at being told to kiss. He says Vicki was the one who said “Let’s go with it,” and it became as memorable as it did. -At one point, Luke says he and Rowan were told there was nothing left for them to do as a team and they were being split up. -Edge feels Rowan would be a monster in any generation, even the 80’s. -Luke says he and Rowan aren’t worried about getting their s**t in and that makes them better. -Edge gives serious praise to the Bludgeon Brothers gimmick, saying its old school and comparing it to the LOD. He says he invested the second he saw them come out. Luke says he was skeptical about the mallet gimmick for a moment but got over it quickly. Christian adds that he feels he gimmick is way different from the Wyatt Family. -Edge compares their shift in gimmick to what Gangrel said about he and Christian leaving the Brood. It had to happen in order for them to grow and not become permanently attached to the original gimmick. -Luke again praises the Usos as well as the New Day, saying he loves working with every member. He also loves the Bar. He’s also excited to work with Eric Young and Sanity. -Christian asks about Harper’s “leaner times” when he almost gave up. Luke was working for Dragon Gate in Japan and not making much money. His wife was eight months pregnant. He had a tryout scheduled with WWE but his knee was messed up. They ended up calling anyway a month later while he was in the hospital with his wife giving birth. He missed the call because there was no reception in the hospital and Cesaro had to send him Johnny Ace’s number. -He says he’s always prepared for the worst, mentioning his struggles after being pulled off TV for several months last year. Luke says he “tried to take the bullets out of their gun” by staying in great shape and tearing it up as best he could at house shows. -Harper had his tryout match with Dean Ambrose, whom he had worked with a bunch on the indies. -Christian says he’s in Stamford now working on stuff for the Network and can’t believe it’s been 20 years, summer of 1998, since he first went up there to begin his run. -Luke tries to step back and enjoy it at times, specifically mentioning winning the tag titles at WrestleMania with his wife and son in the front row. -Edge didn’t know at the time his last Mania was his last Mania, but says watching it back, he thinks he kind of knew. -Rollins, Ambrose and Cesaro are the ones who helped get Luke signed to NXT. He says Cesaro put him on the phone with Bray Wyatt who told him all about his idea for the Wyatt Family. Luke’s head was spinning, as he hadn’t even been signed yet and never met Bray. -Luke says Dusty loved their promos. Edge says it was perfect for the time, as True Detective was really popular. -Harper and Rowan hated each other when they first got paired together. Luke says they just didn’t get along. Eventually, they realized they were stuck together and decided to make the best of it. -They discuss how good Bray is on the mic. People would ask Luke if he wanted to talk more and he’d be like “Are you crazy? You want me to follow ten minutes of Bray?” Edge says no one wants the mic after Stone Cold cuts his promo. -Luke loved his match with Randy Orton. They discuss Orton’s pace, calling it “intangible,” and Edge restates a line he’s used before, saying Randy doesn’t know he’s as good as he is. Harper quickly counters “I think he does.” Edge says “Ok, he doesn’t know WHY he’s as good as he is.” Luke says “That bus he rides around on tells him how good he is.” Then they joke about editing the show. -Christian asks about Harpers goals. He, of course, says by far his goal is to be World Champion. He’s dying for that moment. He believes in himself but admits that “reading Twitter” and listening to the great things guys like Edge and Christian say about him hurts him a bit, because he hasn’t been given that opportunity. -Edge goes on more about thinking Luke should face Undertaker at a WrestleMania. I’d initially thought he was speaking figuratively, but he’s like “Takers back in there, there’s still time.” Edge wants to see it. -Harper would request dark matches every week when they pulled him off TV as a way of staying in the mix. -Christian mentions he never got to work with Harper, and Luke points out they were scheduled to face each other in tag matches on the road the week Christian went out with his back injury. Review: The interview was solid, with all three guys clearly enjoying the conversation. In particular, Christian and Harper had a running joke about Christian thinking he was better than Harper. As part of that banter, Harper revealed that he studied Christian’s series of matches against Orton and even stole a spot during his one singles match with Randy. Harper also expressed a ton of self-depreciation throughout the talk, mentioning always being ready for bad news. He didn’t mind airing his mild frustration with various set backs and at one point when Christian joked about editing certain parts, Luke told him he didn’t care, to leave it all in. Jeff Rush lives in Brooklyn, NY with his wife and toddler son. He introduced a wrestling figure, Samoa Joe, to his child around the time he turned six-months old and has made incremental additions since then. In a matter of weeks, he’ll begin breaking his old LJN figures into the fold. 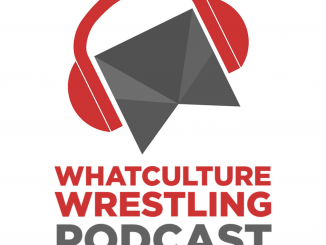 Jeff covered local music in the Pacific NW for a number of years and now, when he’s not working on his small businesses, he fanatically digests pro wrestling podcasts.